Property 6: Detached wooden chalet with all modern comforts. Property 14: Exclusive detached chalet with very luxurious interior right by the piste! 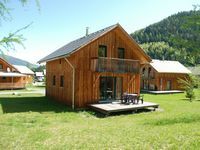 Property 20: Comfortable chalet situated in between Kreischberg and Turracher Höhe. Property 30: Detached chalet directly by the ski slope; ski in, ski out! Property 33: "Ein Traum Wird Wahr" A Dream Come True. A peaceful break away from it all! Gorgeous, detached chalet, directly beside the ski piste with IR sauna and hot tub. 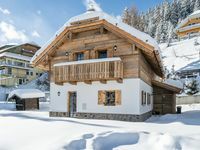 Property 47: Gorgeous, detached chalet, directly beside the ski piste with IR sauna and hot tub. Property 50: Detached chalet directly by the ski slope; ski in, ski out!